For light work and assembly applications, it's vital that you have work gloves that are thin, flexible and ergonomically sound. The Ejendals Tegera 512 Precision Work Gloves are ideal for an array of light handling tasks, with a composite leather/cotton construction that affords them both durability and good fingertip sensitivity. The Ejendals Tegera 512 are designated Category I gloves, meaning they have a simple design and are suitable for minimal risks only. 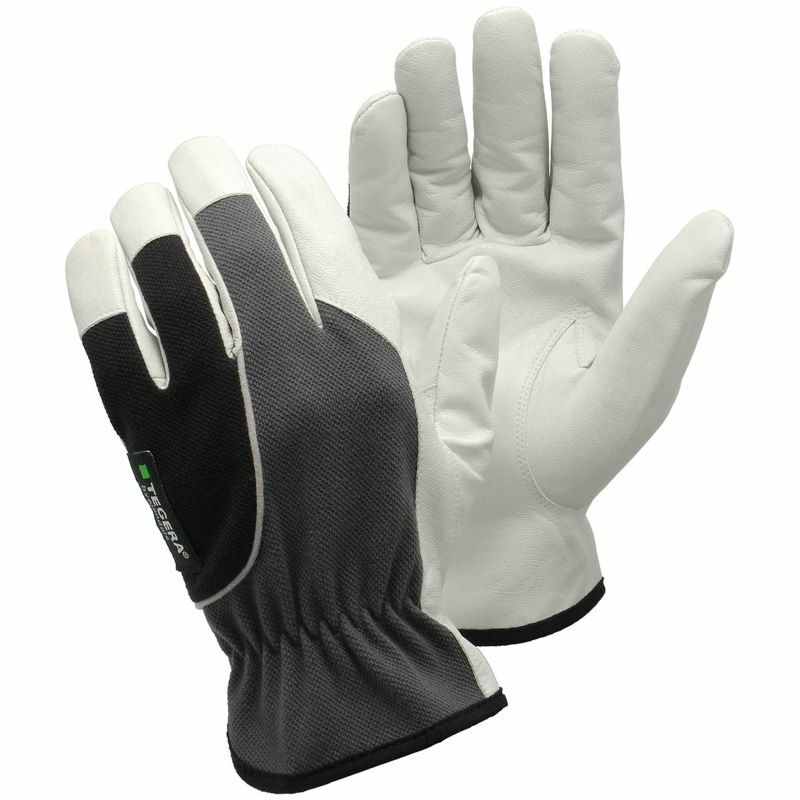 The Ejendals Tegera 512 gloves are available in six different sizes, making them suitable for most users. Please measure the circumference of your hand around the knuckles (excluding the thumb) with your hand open and your fingers together, and the length of your hand from the tip of your middle finger to your wrist. As precision work gloves, the Ejendals Tegera 512 work gloves are designed for a close fit; they feature a palm thickness of between 0.6mm and 0.7mm.